SeaDream Yacht Club is a small Norwegian cruise line with two ships and mega yachts. SeaDream 1 and 2, both built in the mid 80’s and renovated in the 00’s, they are now modern and luxurious. 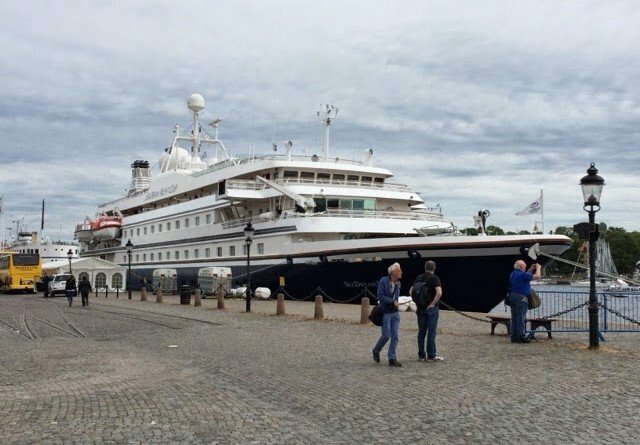 These five-star ships look the same, they are 108 meters long, have 56 cabins for 112 passengers on board and working crew of 95. With nearly one crew per passenger the service on board is absolutely stunning. The feeling one gets on board is more like being on a private yacht. These smaller ships are not for everyone, good to think about before boarding. But as the slogan goes: “It’s Yachting, not Cruising”. 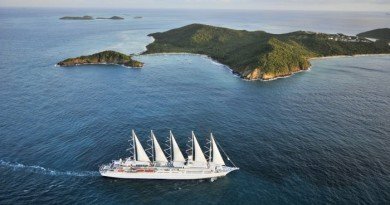 Cruising on Seadream is not cheap, however, this is a completely different experience and can not really be compared with big cruiser that takes several thousand passengers. 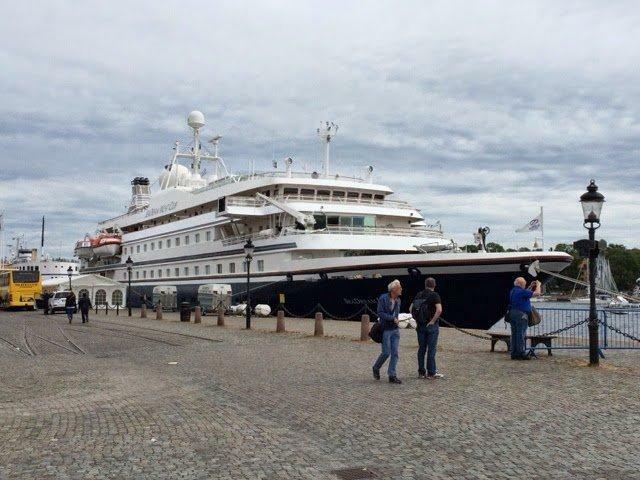 But compare it with other luxury, small ship, these are value for money. Starting at SEK 25.000, aprox $3600, including almost everything in one of the smaller state rooms. In summer time you can cruise the Northern Europe and the Mediterranean by cruising through the Corinth Canal, the small Greek islands and luxury resorts like Monaco and Saint Tropez. 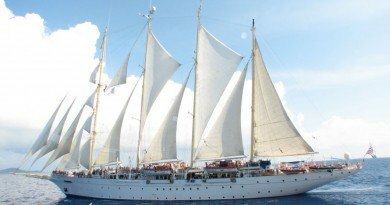 In winter time,the ships travel the Caribbean, from San Juan and Barbados i e, where you visit the most wonderful small islands with turquoise waters and stunning beaches. Water sports, kayaks, waterskies, skooters, snorkeling. Activities on land with the crew. In addition to the above, there is a pool and jacuzzi, fitness center, suana and steam room, library and golf simulator. There are organized activities on board and concerts and movie nights are held in the lounge, or weather permitting, outdoors under the stars. 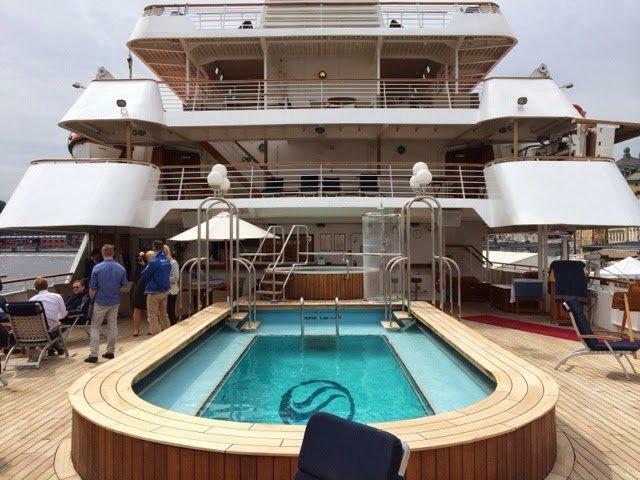 The ship has a swimming platform at the back that folds out when it is anchored. During Caribbean cruises, “Caviar and Champagne Splash” are organized at the beach. Reception or concierge desk is open around the clock and next to it is a small shop where passengers can buy some clothes, watches and sunglasses. The ship’s spa offers treatments such as massages, manicures, make-up and also have a hairdresser on board. A visit to SeadDreams spa is probably the only thing that costs extra and rates are compatible compared to what it costs ashore. The cabins, which are 56 in number, are available in various price ranges. They all have windows facing the sea and are decorated in the same style but are on different decks. The cheapest is located on Deck 2 and have small, round window. 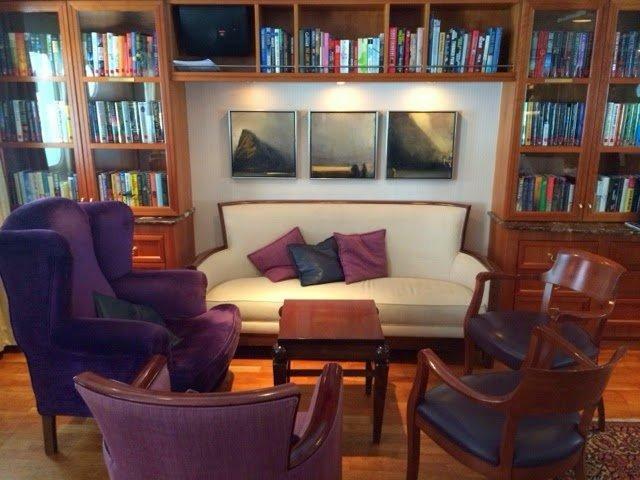 On deck 3 and 4, the windows are large and there are also various suites for those who want to stay more nicly with a sitting area and Nespresso coffee machine. All state rooms are spacious, have comfortable beds with down duvets and luxurious linens, fine, if rather small, bathroom with bath amenities from Bvlgari. The state rooms have slippers and bathrobes and a safe, large flat screen TV, telephone and air conditioning. Internet is available but costs extra and computers can be borrowed. Room service 24 hours a day, special Room service menu applies. 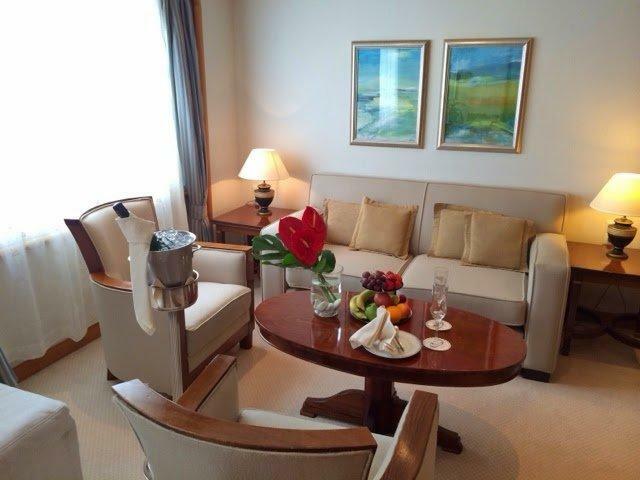 Fresh flowers in the room and in the fridge you will find water, soda and beer. 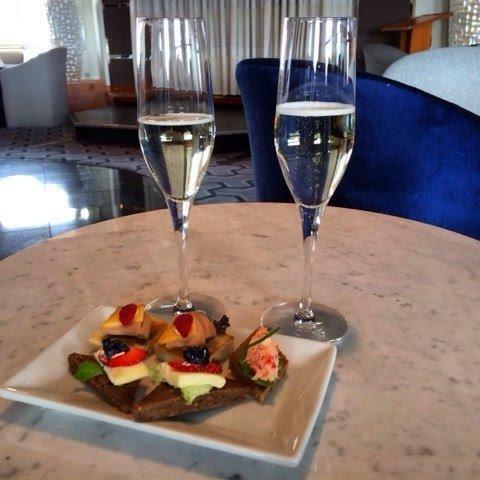 All drinks are included in your cruise, wether your sipping a cocktail by the pool or enjoying your coffee in the shades, having som nice wine eith dinner. 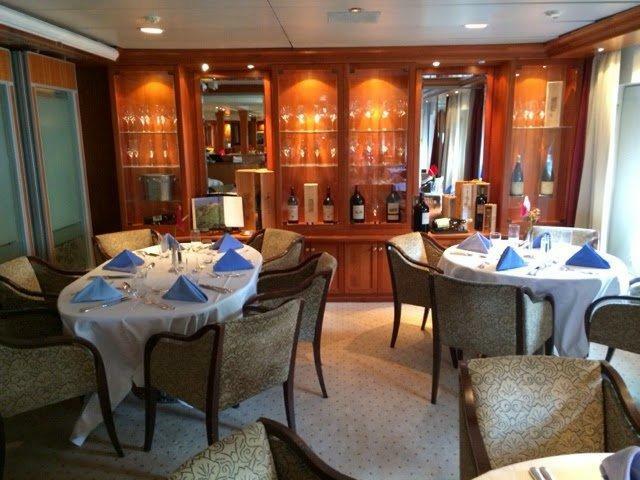 If the weather is nice, guests can choose to dine al fresco, otherwise all meals are served in the ship’s restaurant. 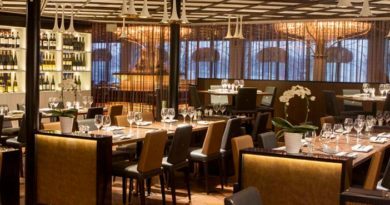 The restaurant is nicely decorated and has a luxurious feeling. The food served on board is of extremely high quality and I guarantee that you will be served a gourmet meal every night. All guest can choose whenever they want to have dinner, just talk to the Maitre D’. Pool and Jacuzzi is located in the rear part of one of the lower decks. 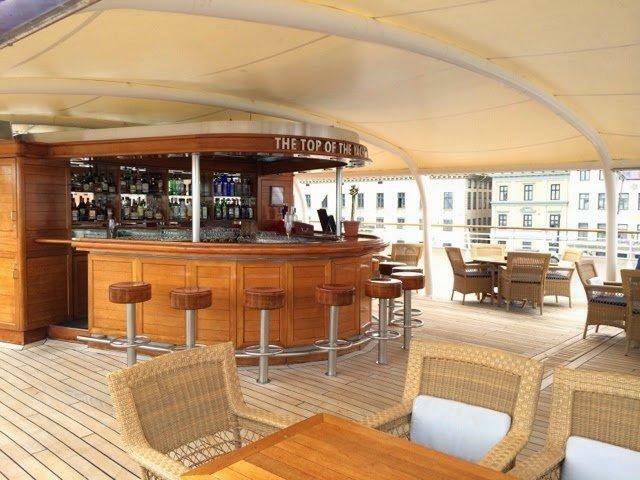 There is an open deck with a bar and chairs where you can enjoy the sun or the sea view. A couple of decks up there are loungers and sunbeds. 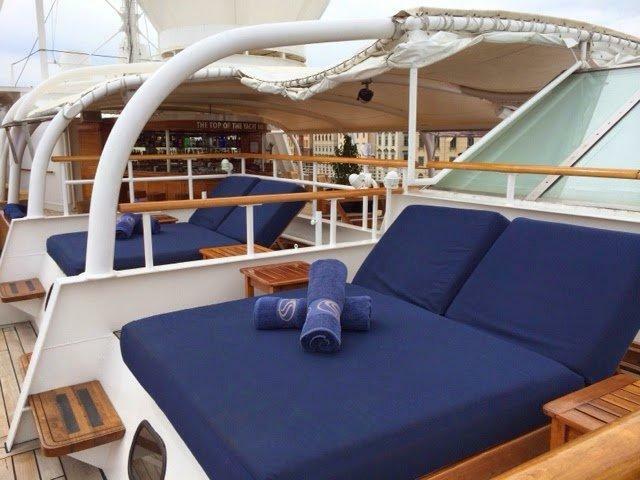 For those who wish to sleep under the stars, the crew make up beds outdoors on deck, with duvet and pillows. How romantic is that? SeaDream is not a good choice for families with children or those who want a lot of activities during their cruise. These smaller vessels are best suited and most appreciated in warm waters, on deck where people can enjoy the scenery and a nice drink. The majority of the passengers are couples in their 40-50’s. The atmosphere is luxurious but relaxed. Even if passengers are dressed up for dinner, it’s uncommon for the men to wear a tie. 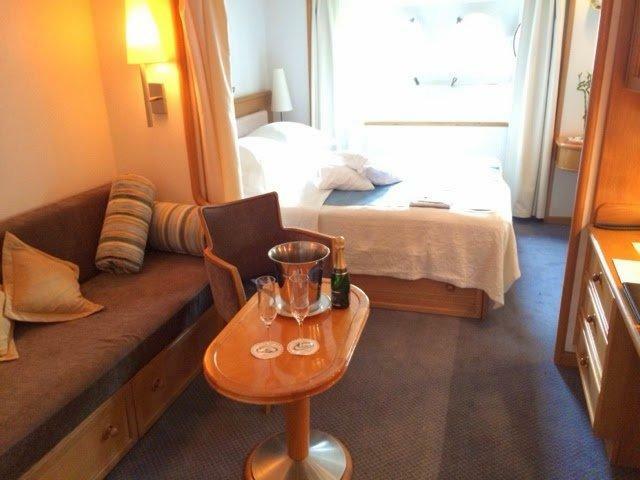 There are no formal nights on board. 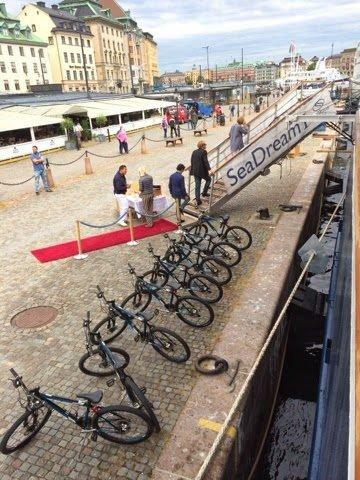 Seadreams small shipcan cruise in to smaller ports which all the big ships can’t. All day at sea is not that common on a ship like SeaDream and over nght stop in a picturesque harbour is prefered. Read more at www.seadream.com or contact your travel agent, such as WonderCruises.